The Tardis Gown was co-designed with a fabulous client of ours, and we are pleased to offer it just in time for your next Con! 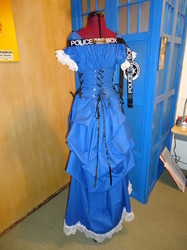 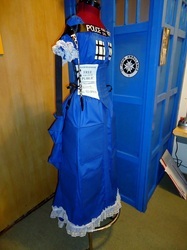 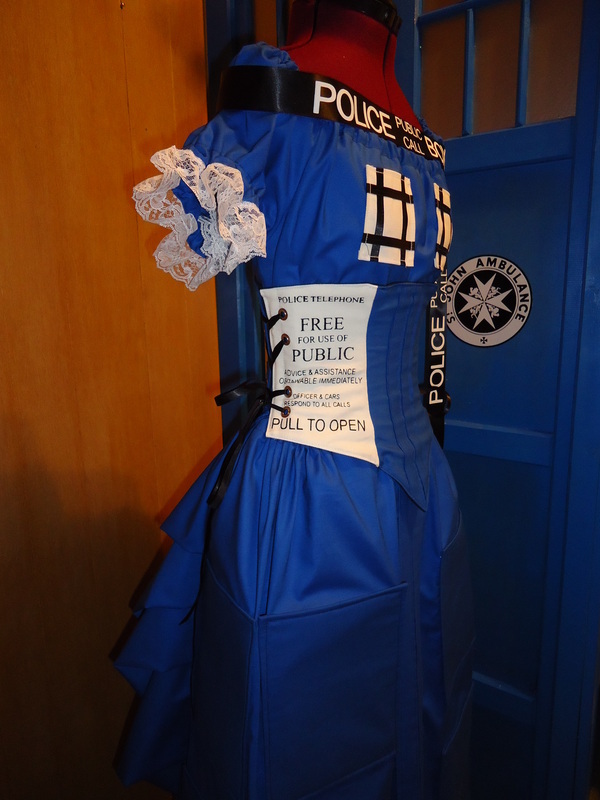 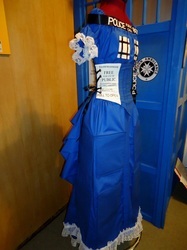 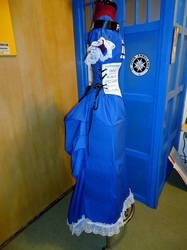 Inspired by the long running BBC television show Doctor Who, this gown embodies the Tardis in a whimsical way. A must for the Victorian inspired Doctor Who fan! Consists of a boned waist cincher complete with the Police Box sign professionally screenprinted on the front side panel, a blouse with mock windows, and a bustled skirt with faux door panel front. A black ribbon printed with the Tardis Police Box top and used as a wrap finishes the look. Made with heavy weight cotton in "Tardis blue".